Three names dominated camera making in the former Soviet Union. One was Arsenal, which released cameras under the Kiev name, and based in what is now the Ukrainian capital. Nearby, in the city of Kharkhiv, the FED works built model after model of Leica lookalikes. But the third and best known was the giant KMZ plant just outside of Moscow. It was here rangefinders under the Zorki name were built, and a long line of SLRs bearing the Zenit badge. The Zenit line began in 1956 with the Zenit SLR. 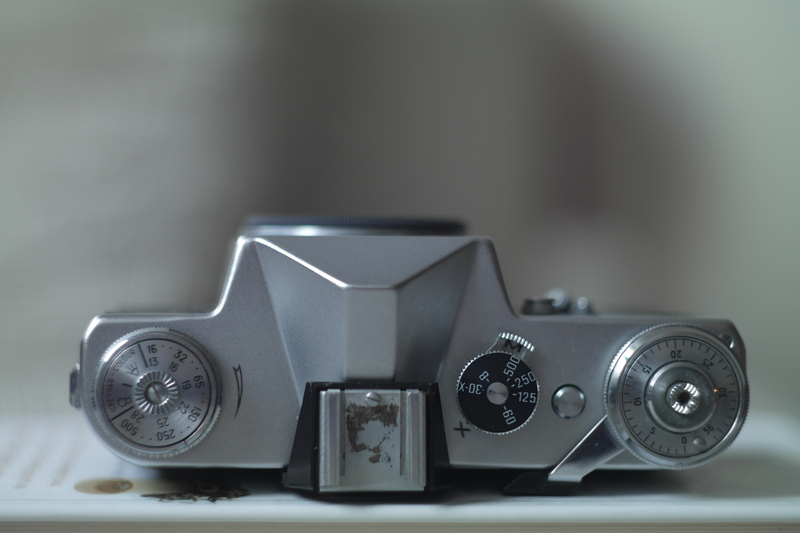 Essentially a modified Zorki, the Zenit was a bottom-loading SLR; a rangefinder with a simple prism attached. This morphed into the Zenit-C (or S in Cyrillic script), the first widely produced post-war Soviet SLR. From there came the Zenit-3M, a more refined model with a conventional hinged back and a unique lens mount similar – but not identical – to the Leica screw mount. In 1965 came the Zenit-E, a camera that ranks alongside the Kodak Brownie and the Olympus Trip 35 as one of the most popular film cameras of the 21st Century. Millions of these cameras rolled off the production line until the mid 1980s; almost every Zenit SLR built after it has some of the E’s DNA. The E was hardly high-tech, even when it was released in the 1960s – unless you thought an uncoupled selenium meter was the height of sophistication. But KMZ’s designers decided to tinker with the design and make it even simpler. 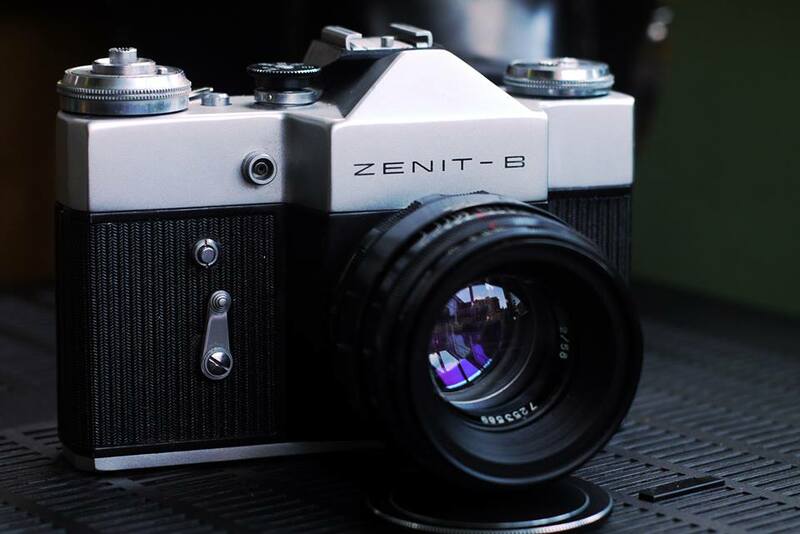 The camera they came up with was called the Zenit-66. A little smaller than the Zenit E, it got rid of the selenium meter (mostly because its prism was deemed too small to fit one) but it did have one ace over its metered cousin – an instant return mirror. In fact, it was the first Soviet SLR to feature one. Jean Loup Princelle’s ‘Authentic Guide to Russian and Soviet Cameras‘ calls the camera “the missing link between the Zenit-3 and the Zenit-E … and represents what the new generation of Zenit should have been from the outset; an instant-return-mirror SLR”. The Zenit-66 never went into mass production, but it laid the groundwork for a camera that did. KMZ tinkered with the chassis of the Zenit-E, modifying the camera here and there. Out went the meter, and the rewind button was moved to the underside. The Zenit-V – or B as it would be known in the West – was born. The B was a no-frills model, designed for people on a tight budget who still wanted the benefits of SLR shooting. The SLR field was a crowded one in the late 1960s. Apart from the Big Three – Canon, Nikon and Pentax – there were rival designs from a myriad other companies; companies like Chinon, Exakta, Minolta, Petri, Praktica and Voigtlander. The Zenit-B was usually shipped with an early version of the Helios-44 58/2 lens. This lens, a copy of a German Biotar lens, earned itself an excellent reputation thanks to its awesome out-of-focus effects and staples aperture. Early versions were preset, which required a little more effort from the photographer, but the combination made for a perfect budget SLR set-up. The Zenit-B, along with the E, found much of that market west of the Berlin Wall. Chains like Dixons in the UK, Revue in West Germany, Cambron in the US and Global in Australia bought Zenit-Bs by the container load, selling them under brand names such as Prinzflex (UK), Revueflex (West Germany) and Cosmorex (US). Zenit-Bs are still fairly common in the UK. Dixons was a high-street favourite and built its reputation partly through its array of cheap photographic gear. Many Soviet cameras were also imported by Technical and Optical Equipment in London, who gave the cameras a quality control once-over often lacking back the USSR. 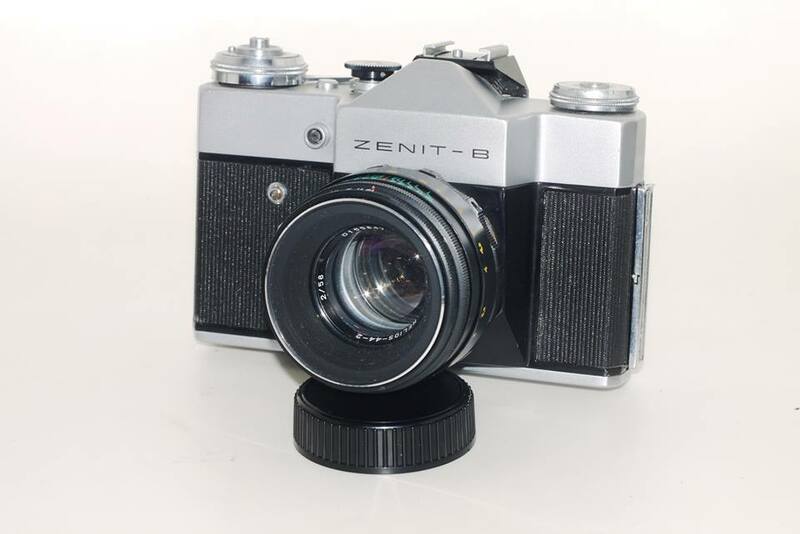 The Zenit-B stayed in production for five years, from 1968 to 1973; a fraction of the time its metered sibling the Zenit-E. But that was still time enough to produce nearly 900,000 of them. Hence why they still turn up in droves in cameras fairs and boot fairs. The B’s lack of electronics and selenium meter means there’s very little to go wrong. The most common issue is the cloth shutting slowing down in faster speed and causing a characteristic black shadow on the edge of pictures. Many photographers ditch cameras with this problem because the cost of repairs is often much higher than the cost of simply buying an example that works properly. It is, however, considered a pretty simple fix. The Zenit-E family get unfairly maligned, in my opinion. While nothing special in the specs department, and with an ‘agricultural’ feel light years away from their more finessed Western counterparts, these cut-price Zenits opened up the world of SLR photography to those without the cash to splash out on Pentaxes and Nikons. Like the Praktica range from East Germany, these Zenits helped a generation in Western Europe discover the joys of proper photography. Zenit-Bs can be had for as little as £10 with a lens on eBay, though you’ll often find them for much less in flea markets and boot sales from Minsk to Margate. Previous articleIs Acros 100 the latest Fuji film to go? Ahh, memories. I used to work for TOE as a goods inwards clark in the late 70’s, first at Thane Villas in north London then when the company moved to Colondale Edgeware. My job was to collect and log in all the cameras, lenses, microscopes and radios customers send back for repair. I used to get stacks of them every day! If I remember correctly the worse problems were due to the shutters getting damaged. Worse offenders were the backs of the medium format cameras. They were then shipped upstairs to the Russian technicians to repair. Happy days. Great to read your insight, John! “Zenit’s jackboot-like shutter crunch” – a bit like my Pentax K2, then… The shutter sounds like dropping an anvil into a steel drum. Thanks for another interesting and informative article! Here in the European northeast, flea market stalls are sometimes cluttered with old Soviet cameras, and knowing which ones are worth picking up could be a useful skill. Now I know a bit more! Global in Australia was a brand used by the Hanimex company which was similar to Revue in Germany. They started the Global brand when importing the Zenit 3M, but not many of them come up for sale in Australia.